An evolutional chair will appear soon. There are two types of chair in question both used by ophthalmologistｓ: one used for ophthalmic surgery and the other for outpatient clinics. Their backrest is shaped in a way that has never been seen before, being equipped with mechanisms needed for eye doctors to perform surgery or physical examinations. With ingenuity on the backrest structure so as to leverage a physiological mechanism of human postural reflection, the unique backrest has come to realization through a combination of excellent cushioning and new materials technologies. 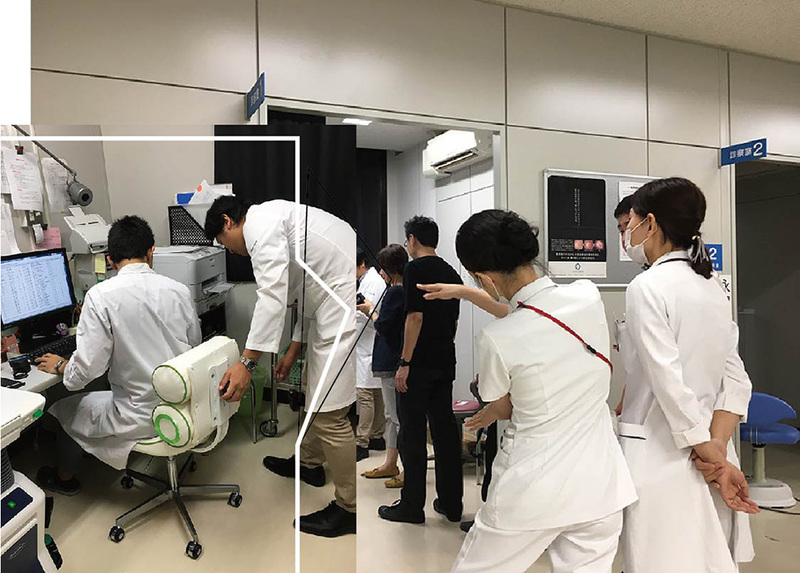 Picture 1 shows our developmental staff and the concerned chair in an operation room in UOEH(University of Occupational and Health, Japan Kitakyushu). Picture 1 Two chairs. left: for outpatient clinics right:for　surgery with developmental staff including medical doctor and ergonomists at UOEH. Picture 2 is a composite photograph demonstrating a scene of trial use of the chair in outpatient clinics. Numbers of female doctors participated in the trials. The first academic presentation is scheduled for next spring at GfA in Frankfurt. Its release date is not yet determined.